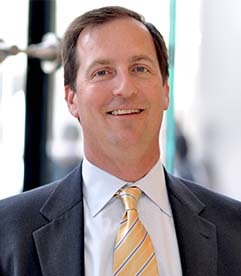 Mr. Domke most recently served as CFO for Clear Edge and Money Mailer, a leading provider of direct mail advertising. Previously, he was Managing Director at Merrill Lynch Capital for six years, where he managed a regional lending team, which completed over 100 transactions and invested over $4 billion in capital in acquisition transactions across a wide range of manufacturing and service businesses. Mr. Domke also was responsible for Merrill Lynch’s expansion of its middle market-leveraged finance activities to the UK and Europe. Prior to that, Mr. Domke served as a Senior Vice President at Heller Financial where he was responsible for a regional lending team in the leveraged finance business. Further experience at Heller Financial included equity investing, media lending and loan restructuring. He began his career at Price Waterhouse where he managed audits and due diligence projects. Mr. Domke holds degrees from the University of Illinois and Northwestern University and is a CPA.